Author and legendary conservationist Lawrence Anthony died March 2. His family tells of a solemn procession of Elephants that defies human explanation. 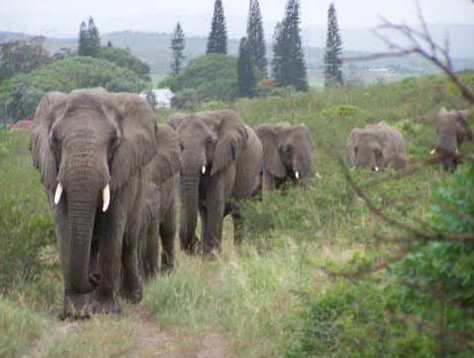 For 12 hours, two herds of wild South African elephants slowly made their way through the Zululand bush until they reached the house of late author Lawrence Anthony, the conservationist who saved their lives. The formerly violent, rogue elephants, destined to be shot a few years ago as pests, were rescued and rehabilitated by Anthony, who had grown up in the bush and was known as the “Elephant Whisperer.” For two days the herds loitered at Anthony’s rural compound on the vast Thula Thula game reserve in the South African KwaZulu – to say good-bye to the man they loved. But how did they know he had died? Known for his unique ability to calm traumatized elephants, Anthony had become a legend. 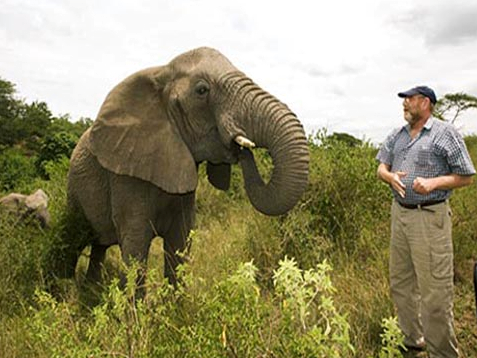 He is the author of three books, Babylon Ark, detailing his efforts to rescue the animals at Baghdad Zoo during the Iraqi war, the forthcoming The Last Rhinos, and his bestselling The Elephant Whisperer. There are two elephant herds at Thula Thula. According to his son Dylan, both arrived at the Anthony family compound shortly after Anthony’s death. A line of elephants approaching the Anthony house, but these are wild elephants in the 21st century, not some Rudyard Kipling novel. The first herd to arrive at Thula Thula several years ago were violent. They hated humans. Anthony found himself fighting a desperate battle for their survival and their trust, which he detailed in The Elephant Whisperer: “It was 4:45 a.m. and I was standing in front of Nana, an enraged wild elephant, pleading with her in desperation. Both our lives depended on it. The only thing separating us was an 8,000-volt electric fence that she was preparing to flatten and make her escape. Lawrence Anthony's book – sounds like a beautiful read to me! “Suddenly, the absurdity of the situation struck me,” Anthony writes. “Here I was in pitch darkness, talking to a wild female elephant with a baby, the most dangerous possible combination, as if we were having a friendly chat. She took another step forward. I could see her tense up again, preparing to snap the electric wire and be out, the rest of the herd smashing after her in a flash. I was in their path, and would only have seconds to scramble out of their way and climb the nearest tree. I wondered if I would be fast enough to avoid being trampled. Possibly not. “Then something happened between Nana and me, some tiny spark of recognition, flaring for the briefest of moments. Then it was gone. Nana turned and melted into the bush. The rest of the herd followed. I couldn’t explain what had happened between us, but it gave me the first glimmer of hope since the elephants had first thundered into my life. It had all started several weeks earlier with a phone call from an elephant welfare organization. Would Anthony be interested in adopting a problem herd of wild elephants? They lived on a game reserve 600 miles away and were “troublesome,” recalled Anthony They had a tendency to break out of reserves and the owners wanted to get rid of them fast. If we didn’t take them, they would be shot. What followed was heart-breaking. One of the females and her baby were shot and killed in the round-up, trying to evade capture. 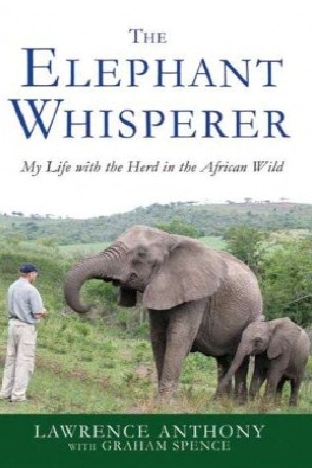 Courtesy of Anthony Family The French version of “The Elephant Whisperer”. When they arrived, they were thumping the inside of the trailer like a gigantic drum. We sedated them with a pole-sized syringe, and once they had calmed down, the door slid open and the matriarch emerged, followed by her baby bull, three females and an 11-year-old bull. Last off was the 15-year-old son of the dead mother. He stared at us, writes Anthony, flared his ears and with a trumpet of rage, charged, pulling up just short of the fence in front of us. His mother and baby sister had been shot before his eyes, and here he was, just a teenager, defending his herd. We christened the matriarch Nana, and the second female-in-command, the most feisty, Frankie, after my wife. We had erected a giant enclosure within the reserve to keep them safe until they became calm enough to move out into the reserve proper. Nana gathered her clan, loped up to the fence and stretched out her trunk, touching the electric wires. The 8,000-volt charge sent a jolt shuddering through her bulk. She backed off. Then, with her family in tow, she strode the entire perimeter of the enclosure, pointing her trunk at the wire to check for vibrations from the electric current. The two adult elephants had worked as a team to fell a tree, smashing it onto the electric fence and then charging out of the enclosure. I scrambled together a search party and we raced to the border of the game reserve, but we were too late. The fence was down and the animals had broken out. They had somehow found the generator that powered the electric fence around the reserve. After trampling it like a tin can, they had pulled the concrete-embedded fence posts out of the ground like matchsticks, and headed north. The reserve staff chased them – but had competition. We met a group of locals carrying large caliber rifles, who claimed the elephants were ‘fair game’ now. On our radios we heard the wildlife authorities were issuing elephant rifles to staff. It was now a simple race against time. Anthony managed to get the herd back onto Thula Thula property, but problems had just begun: Their bid for freedom had, if anything, increased their resentment at being kept in captivity. Nana watched my every move, hostility seeping from every pore, her family behind her. There was no doubt that sooner or later they were going to make another break for freedom. It worked, as the book describes in detail, notes the London Daily Mail newspaper. Anthony was later offered another troubled elephant – one that was all alone because the rest of her herd had been shot or sold, and which feared humans. He had to start the process all over again. And as his reputation spread, more “troublesome” elephants were brought to Thula Thula. If there ever were a time, when we can truly sense the wondrous ‘interconnectedness of all beings,’ it is when we reflect on the elephants of Thula Thula. A man’s heart’s stops, and hundreds of elephants’ hearts are grieving. This man’s oh-so-abundantly loving heart offered healing to these elephants, and now, they came to pay loving homage to their friend. His sons say that their father was a remarkable man who lived his life to the fullest and never looked back on any choices he made. He leaves behind his wife Francoise, his two sons, Dylan and Jason, and two grandsons, Ethan and Brogan. Lawrence will be missed by all. 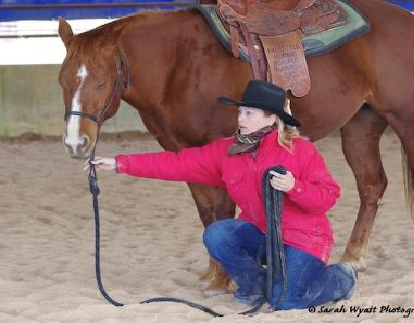 Jenny: The gifts and talents that Lawrence Anthony brought to the elephants – the quiet strength of mind, the ability to know what to do and when to do it – is EXACTLY what you are learning here about horses. These gifts can be learned when the heart and desire is big enough. I am living proof of that! What a beautiful story! . Brave hearts finding a place of commonn ground. The power of love, trust & commitment, the linking of souls. What an amazing, & remmarkable journey. What a special journey. I have so much to learn! I have a I have a 2yr old TB. He came to us just over a year ago when he was around 10 months old. He was from a racing stud & we were told his mum had died not long after he was born of Colic. He looked like he had been just left in a paddock to fend for himself. He had prolased, he swayed from side to side, his feet were all curled up, he was covered in lice, he was skin & bone, bloated with worms & his halter had been left on & had eaten into his face. He was unable to eat & I had to blend up his food & hold the bucket up for him to feed. This was just over a year ago. He is such a beautiful boy now, you would never realise his beginings. I want to give him a wonderful healthy & happy life, a lot different to how it started out. His name is Brave Heart, Wally for short. because he has the bravest heart & can be a bit of a Wally. Thank you so much for sharing this remarkable story. I have tears in my eyes. Just Beautiful! Wow brave heart indeed and how lucky he is that you found him. There might be tears in your eyes at the elephant story but I think there will be tears in a few other people’s eyes at your story about Brave Heart. Enjoy The Six Keys to Happiness with Your Horse, Lorraine and make sure that you come back to me at the end and let me know how Brave Heart enjoyed them. 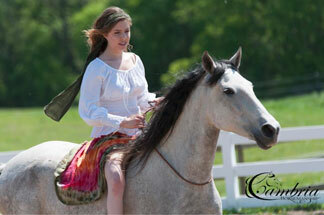 Just a word of warning – Brave heart will probably be calcium deficient – so many hand reared foals are. Eventually they get a condition known as big head. Way too many vets and products on the market focus on the calcium part of the minerals needed – but Brave Heart will want a broad spectrum of minerals to take him to full strength in his bones. Focussing on calcium alone will make the problem worse. Get in touch with me by private email, jenny@jennypearce.com.au sending me a photo and I will do a kinesiology session on him for you to determine his specific mineral needs. This can be a gift to Brave Heart from me. p.s. The Racing industry takes a very dim view of cases like this. 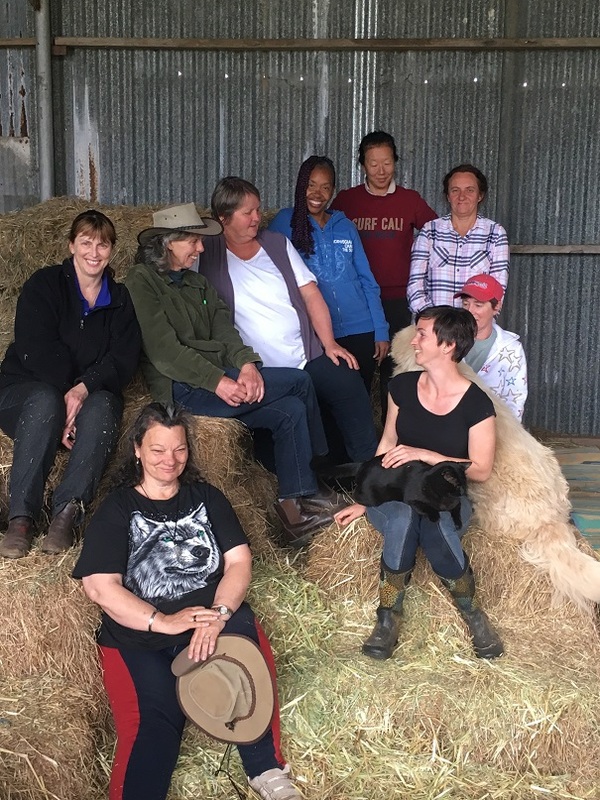 They can apply more pressure and thus have more power than the RSPCA because they can take away a stud’s ability to earn the big bucks or a trainers training license. So keep that in mind folks when you see cases of cruelty and neglect within that industry.